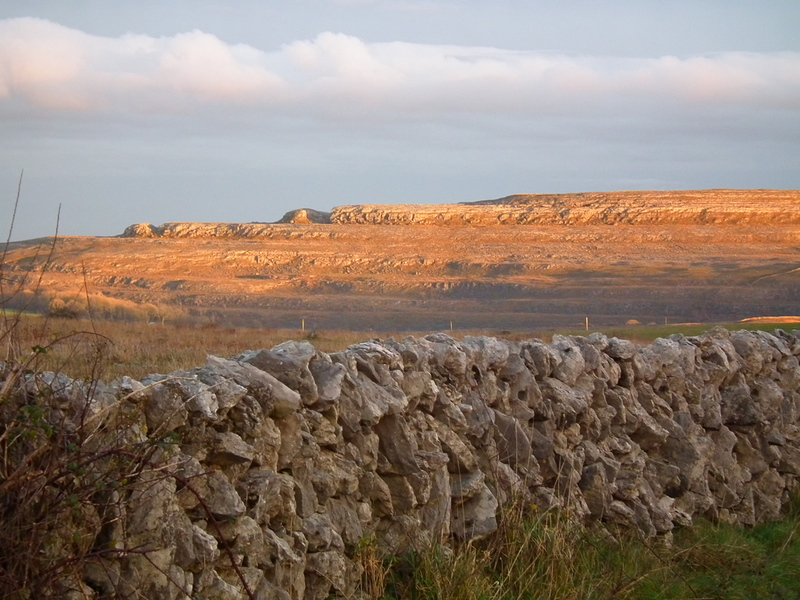 The Burren is sometimes referred to as a ‘lunar landscape’, and many people’s image of the Burren is of a massive sheet of bare rock intersected by deep fissures. However the reality is much different and more interesting. A wide variety of habitats exist in the Burren, everything from bare limestone pavements to some of the most fertile improved grasslands found in the country. Sometimes these diverse habitats are found within the same field, where a single step may take you from a limestone pavement, across a heath and into an orchid-rich grassland. 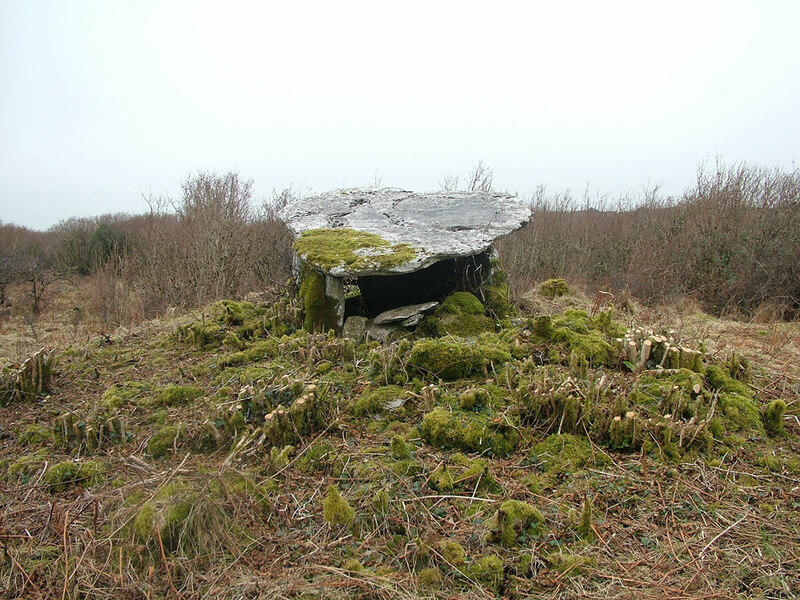 But the significance of the Burren is the presence of so many relatively rare habitats over so large an area, offering excellent ‘connectivity’ in contrast with the fragmented nature of such habitats elsewhere. 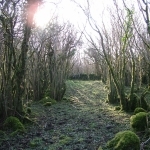 The major habitats in the Burren, described below, are limestone pavements, orchid-rich calcareous grasslands, limestone heaths, scrub and woodlands, wet grasslands, turloughs, calcareous springs and fens. 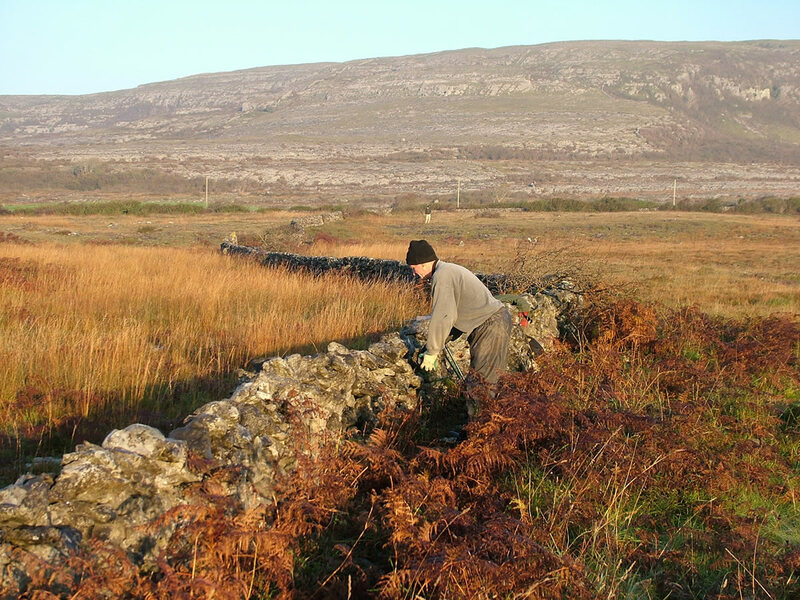 Over 30,000ha of the Burren has been designated as Special Areas of Conservation (SACs), under the EU Habitats Directive, a reflection of the importance of these habitats. 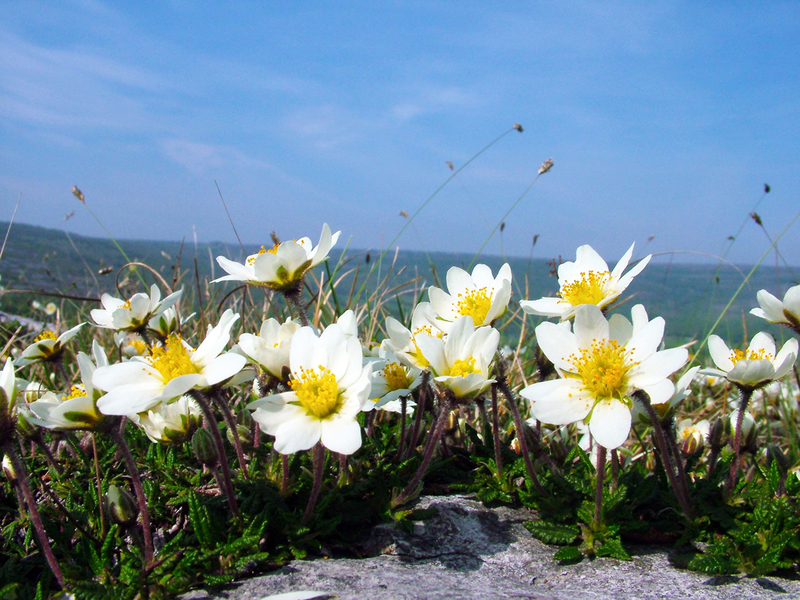 Limestone pavement is a priority habitat (8240) for conservation under the EU Habitats Directive. 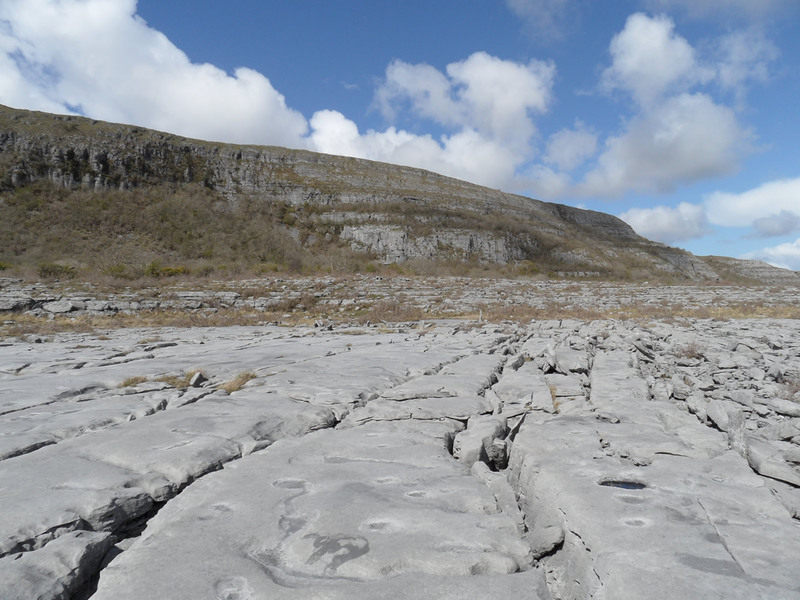 Limestone pavement consists of blocks of limestone bedrock, known as clints, separated by fissures called grikes. 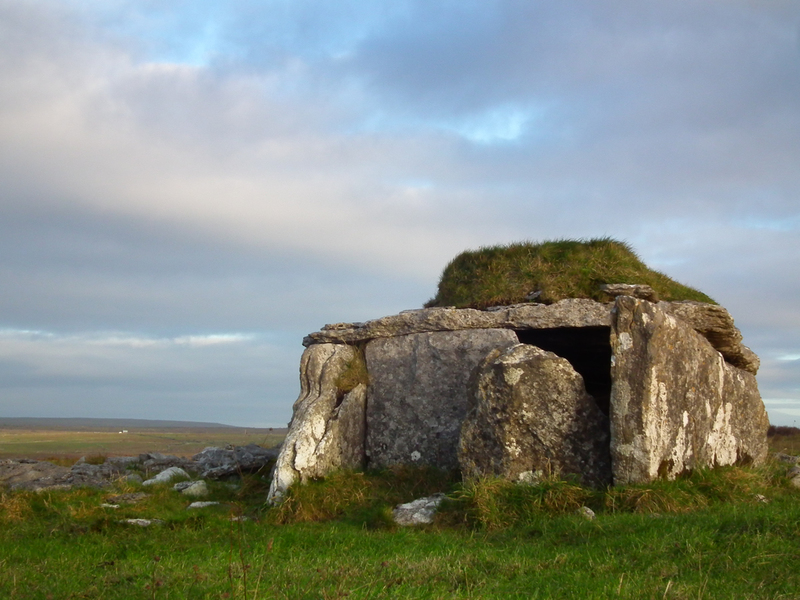 It is the key element of the Burren landscape where it forms complex mosaics with calcareous grasslands and heaths. This extraordinary landscape feature is the result of the erosive action of glaciers during the last ice-age and subsequent dissolution by rainwater. Soil and vegetation are sparse. 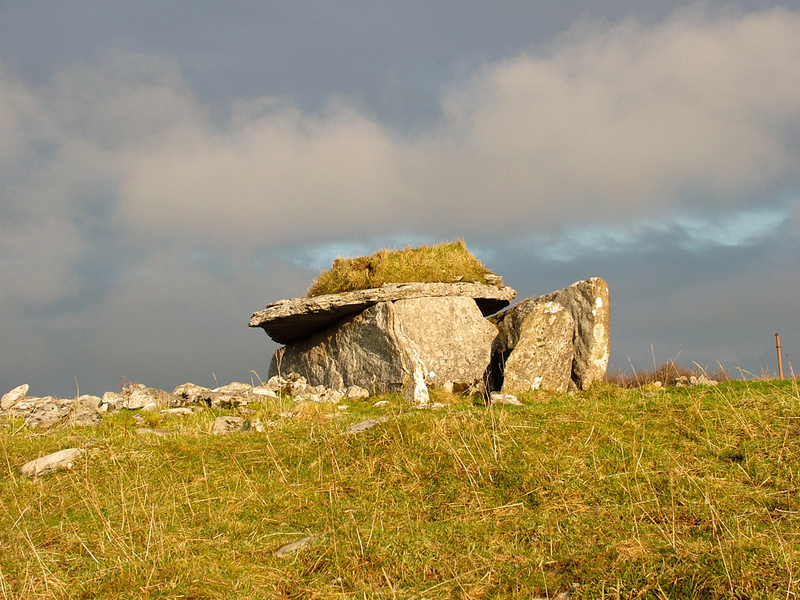 The Burren is one of the best examples of glaciated karst in Europe. 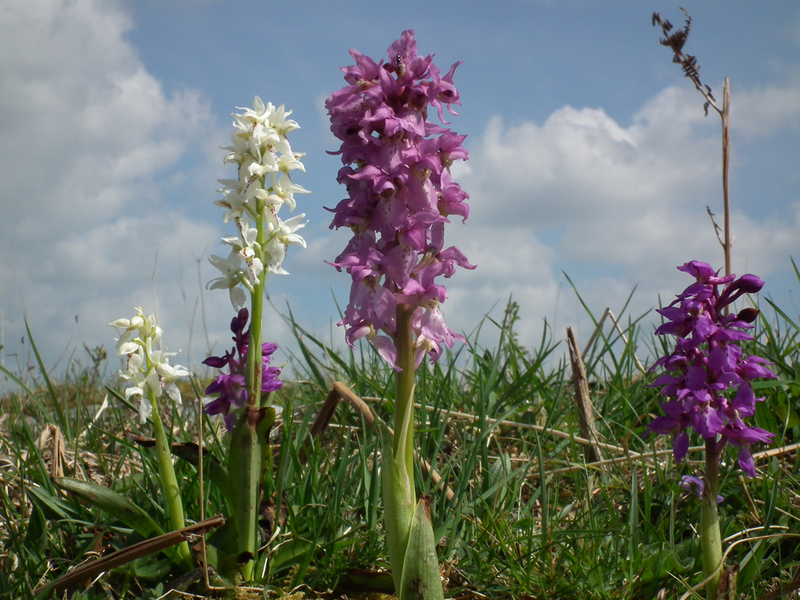 Orchid-rich, dry calcareous grassland is a priority habitat (6210) for conservation under the EU Habitats Directive. 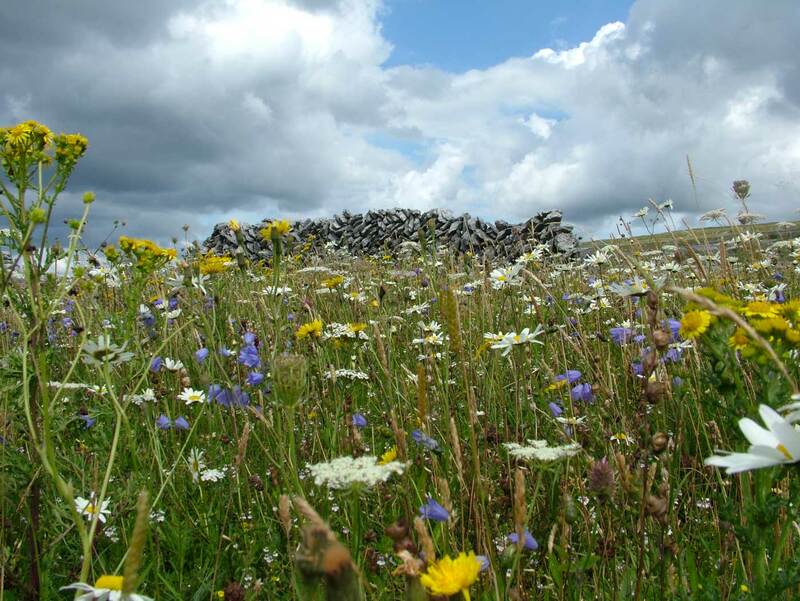 Widespread in the Burren, these include unimproved or semi-improved dry grasslands on thin soils that are rich in calcium. 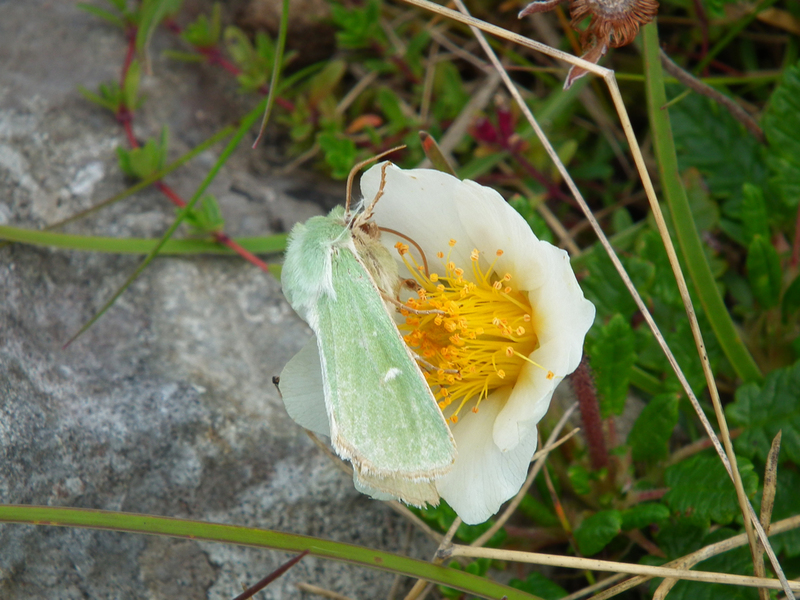 They are normally species-rich with an abundance of orchids as well as classic ‘Burren’ species such as spring gentian, mountain avens and bloody cranesbill. Where grazed on a year round basis species richness is usually lower with more plants typical of neutral soils. 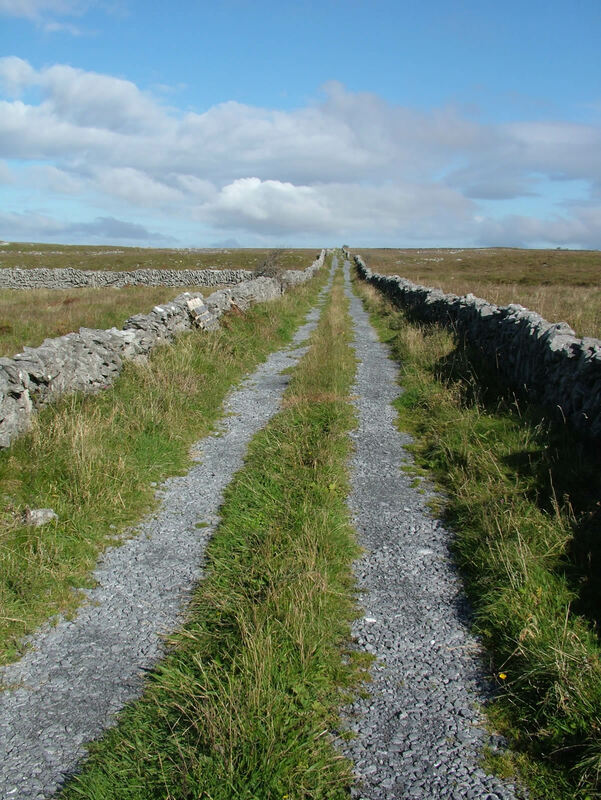 Although not directly covered by the EU Habitats Directive, the flora of neutral grasslands in the Burren has similarities to that of the priority habitat ‘Fennoscandian lowland species-rich dry to mesic grasslands’ (6270). 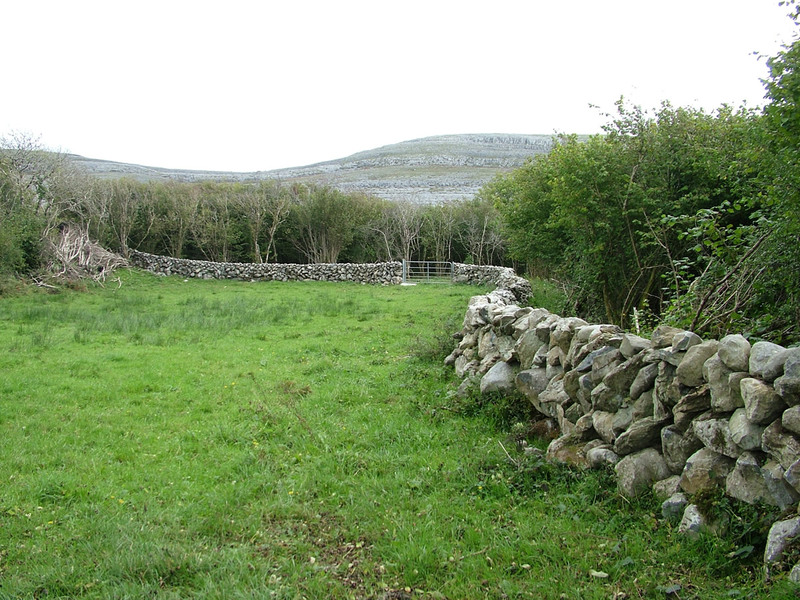 Neutral grasslands occur on deeper glacial soils in the Burren including drumlins. 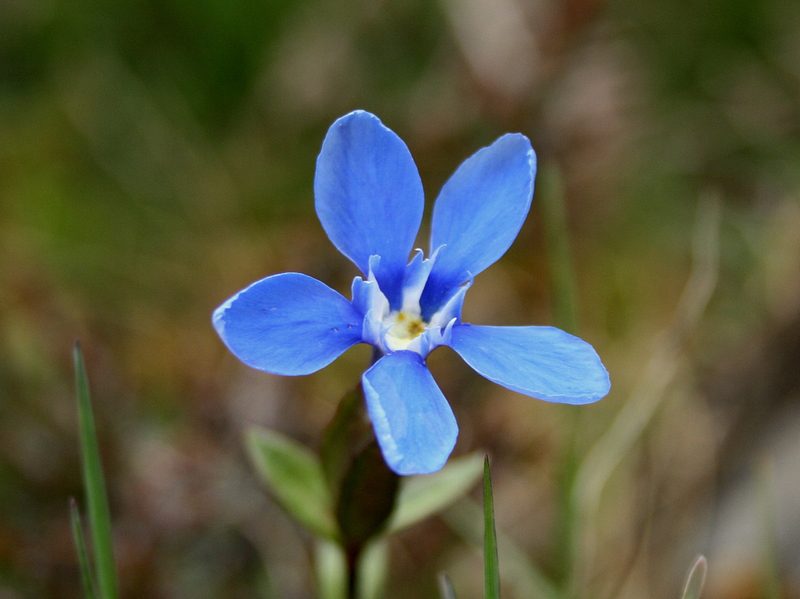 Many of these areas were meadowed in the past and can be species-rich with many orchids. 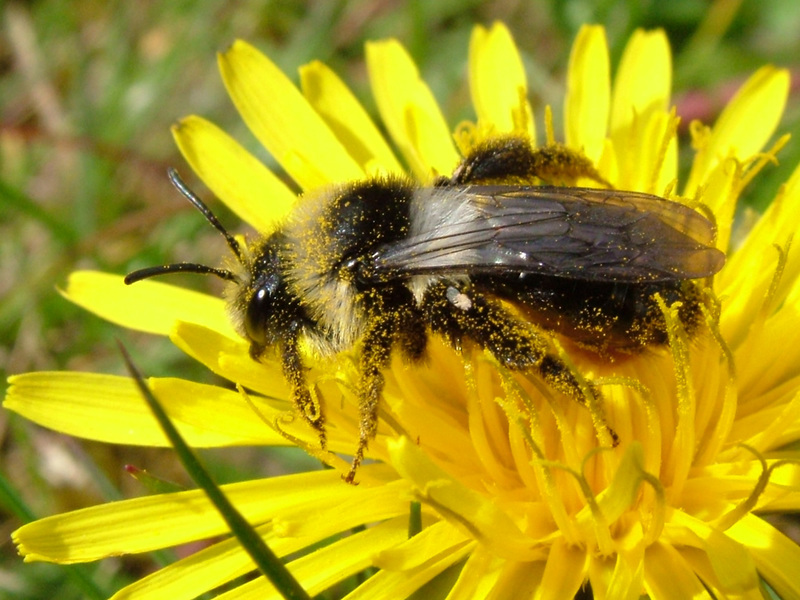 Although dominated by plants associated with neutral soils the flora also contains species typical of both acid and base-rich soils. 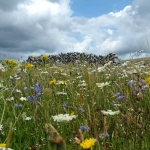 The majority of these grasslands have been agriculturally improved; consequently, unimproved and semi-improved neutral grasslands are not common in the Burren. Wet grasslands are found on soils with impeded drainage. Their flora is usually less species-rich than that of the other unimproved Burren grasslands with grass and rush species dominating. 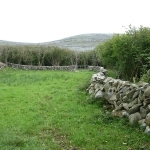 In the Burren, wet grasslands are often found near the limestone-shale boundary. 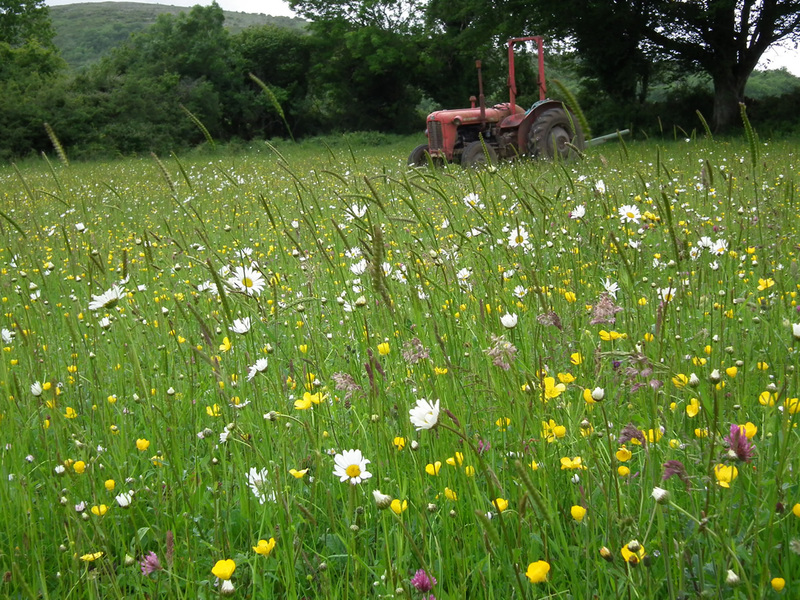 These are intensively managed or highly modified agricultural grasslands that have been reseeded and/or regularly fertilised and are heavily grazed and/or used for silage making. They are relatively species-poor. 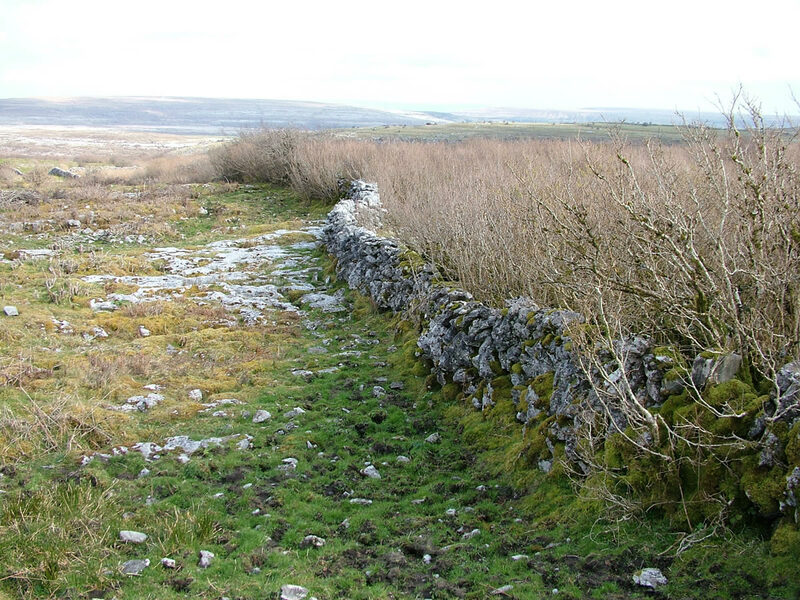 The limestone heaths of the Burren fall into a number of Annex 1 habitats under the EU Habitats Directive including ‘Juniperus communis formations on heaths or calcareous grasslands’ (5130). 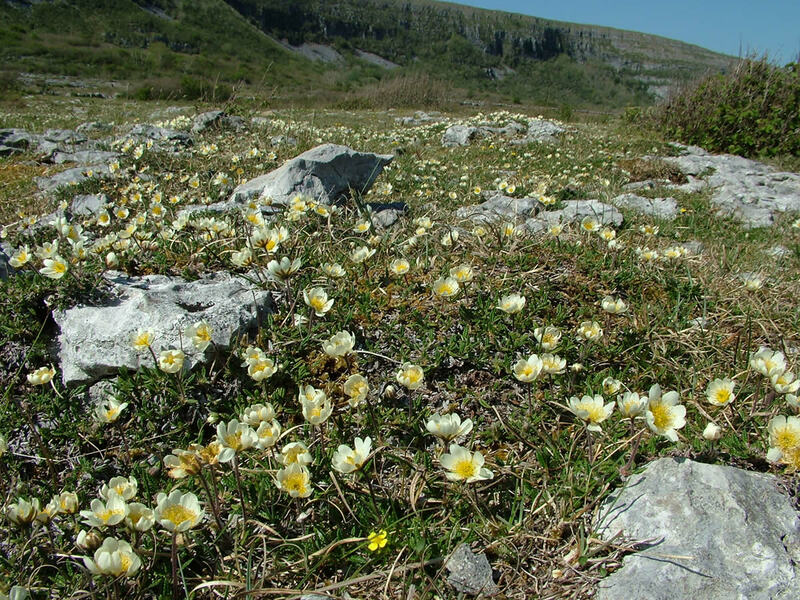 Limestone heath is common in the Burren occurring on well-drained, base-rich soils and rocky land as well as soils with poorer drainage. It is characterised by dwarf shrubs having a cover of at least 25%, the most common shrub species being ling heather and mountain avens. 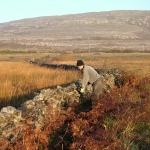 The limestone heaths of the Burren include dwarf scrub associated with acid soils such as bell heather as well as plants of calcareous soils. 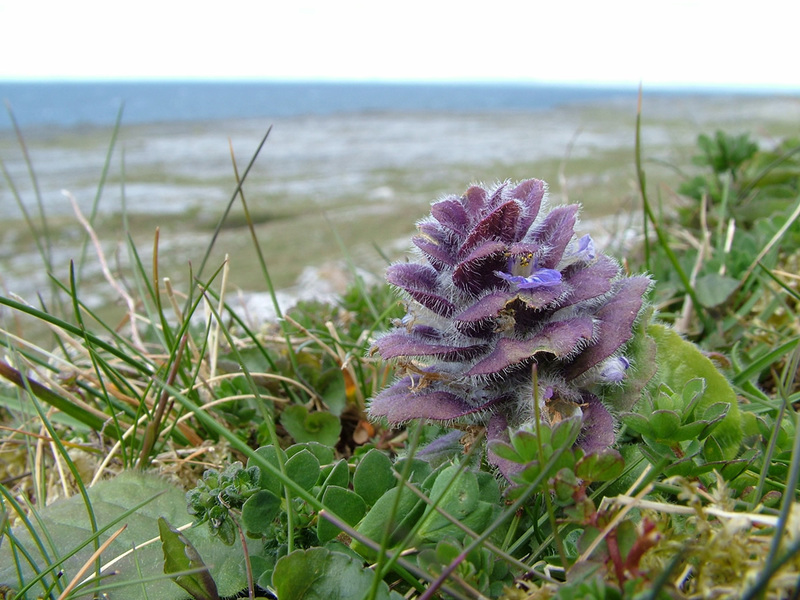 Bearberry and crowberry occur in some Burren heaths. 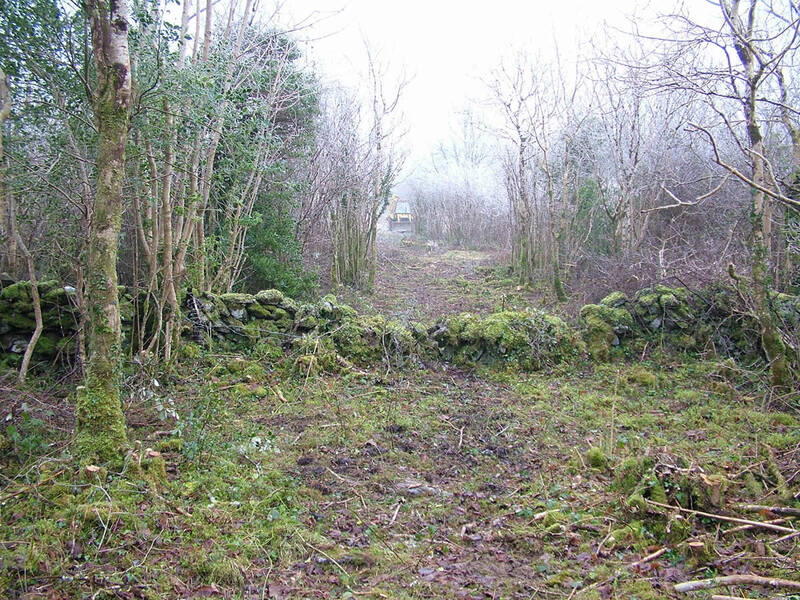 Hazel-dominated scrub is common in the Burren. 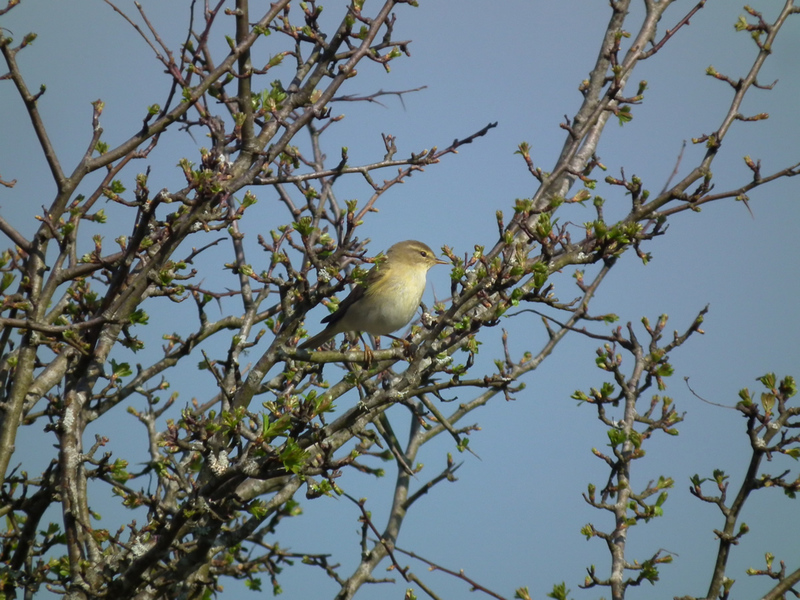 Other species including blackthorn, whitethorn and holly are usually present and are dominant in some areas of scrub. Scrub exists both as dense stands and in mosaic with other habitats where it covers less than 50% of the area. 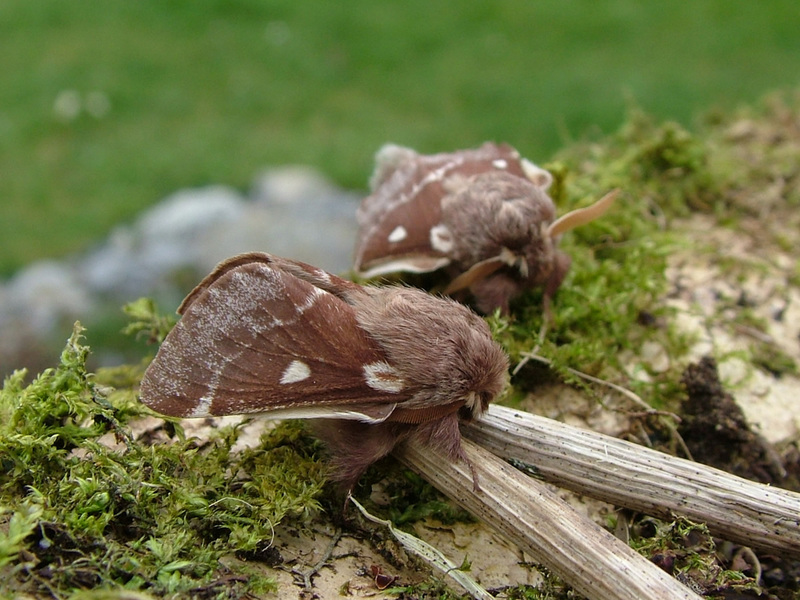 Whilst mature hazel scrub is an important habitat for lichens and certain fungi including the rare hazel gloves fungus, its rapid encroachment onto calcareous grasslands and limestone heath is of concern. 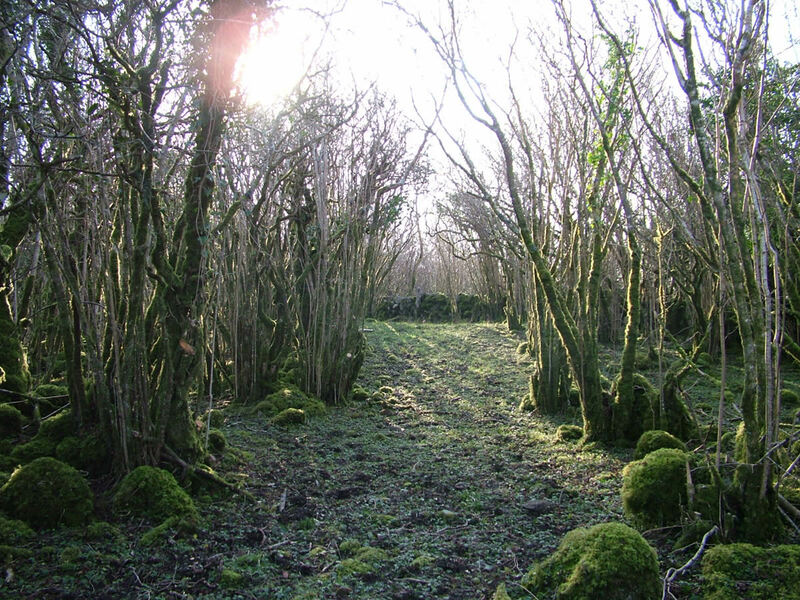 In some areas the scrub has, or is, developing into ash-hazel woodland. 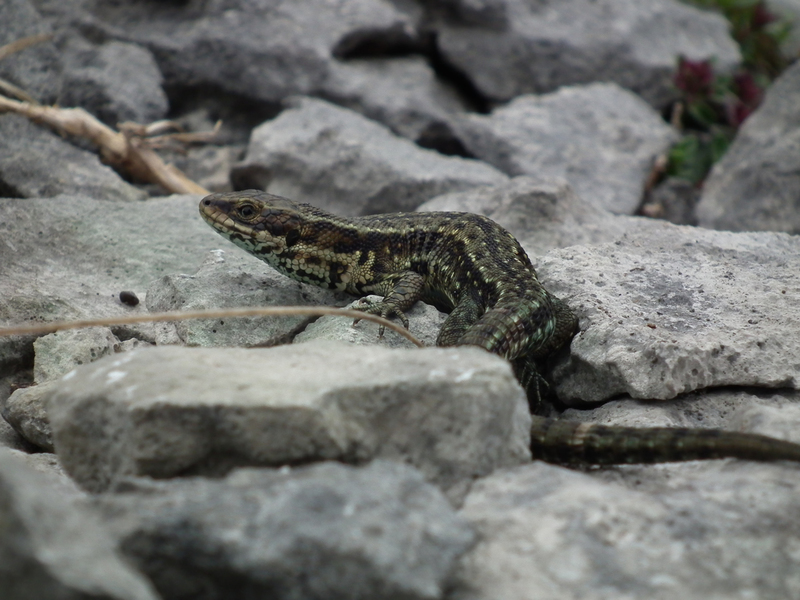 Turloughs are a priority habitat (3180) for conservation under the EU Habitats Directive. These are areas where a depression in a limestone area is intermittently flooded mainly from groundwater. The water levels fluctuate markedly during the year, generally flooding in winter and drying out during the summer months. They normally fill through underground springs and swallow holes. Across the turlough basin the flooding depth and duration vary and there may be some pools of permanent water in the centre. All areas within the normal high flood limit are considered part of the turlough habitat. Petrifying springs are a priority habitat (7220) for conservation under the EU Habitats Directive. 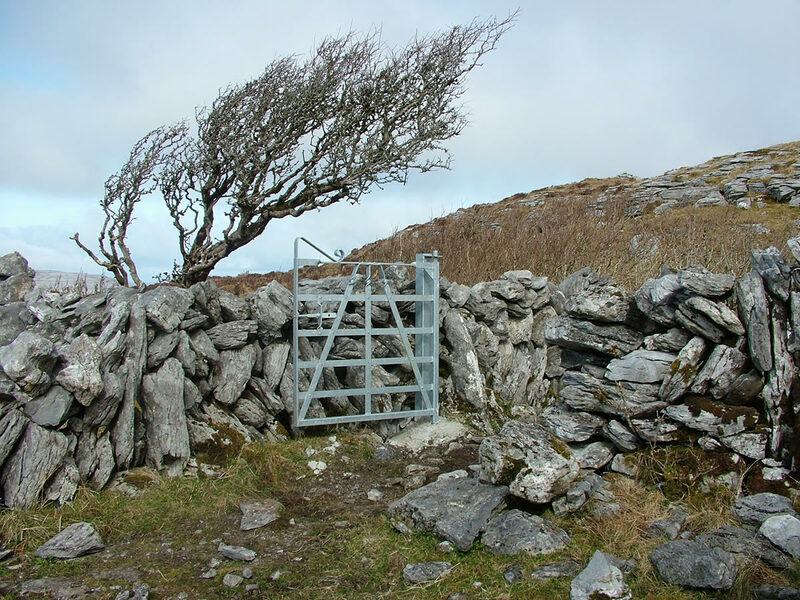 Springs occur throughout the Burren in areas where there is an upwelling of calcareous groundwater or seepage from the limestone. Areas of wetland vegetation are associated with the springs. 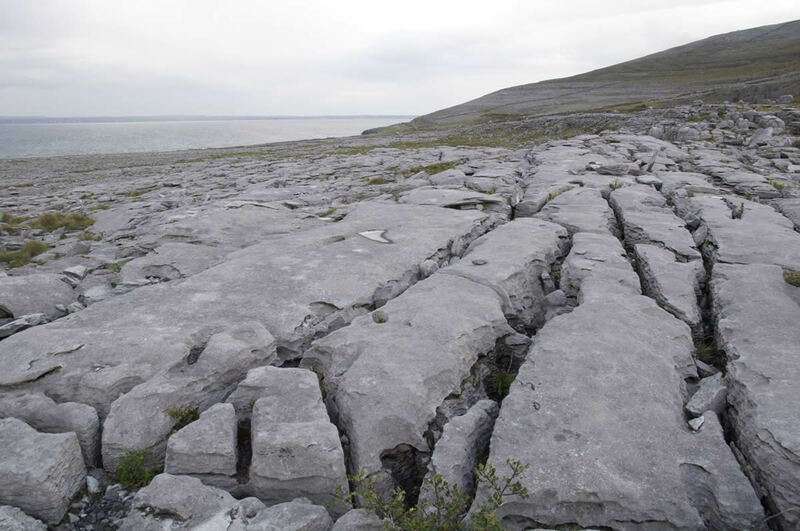 Tufa formation and marl deposition occur in a relatively small number of the Burren springs and these are said to be ‘petrifying’. 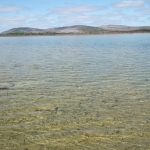 The lakes of the Burren correspond with the Annex 1 Habitat ‘hard oligo-mesotrophic waters’ (3140). 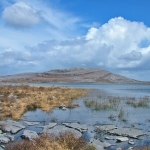 Lakes occupy a relatively small area of the Burren. Their open waters are base-rich and nutrient levels range from low to moderate. 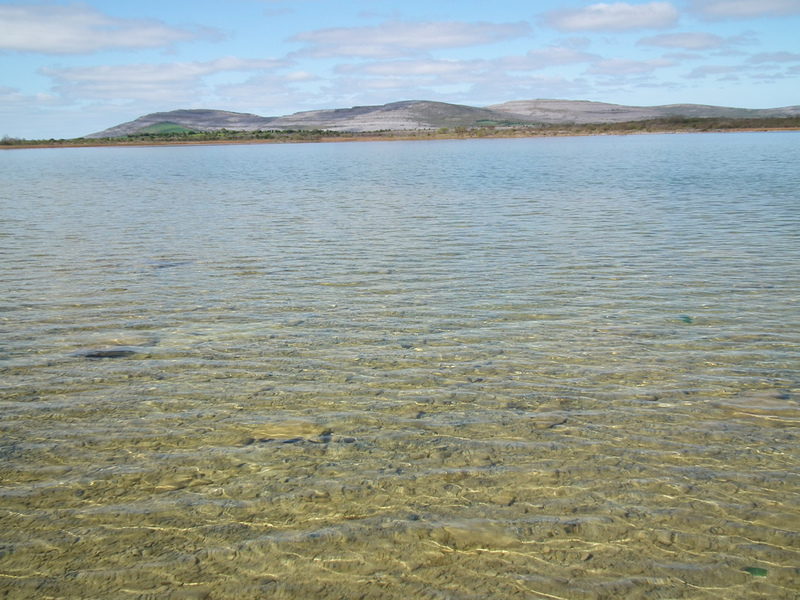 The lake waters are generally clear and the sediments usually contain a high proportion of marl. Stoneworts are common and areas of fen vegetation exist in and around many of the lakes. Their water level does not fluctuate to the same extent as that of the turloughs. 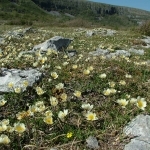 Calcareous fens with Cladium mariscus are a priority habitat (7210) for conservation under the EU Habitats Directive. 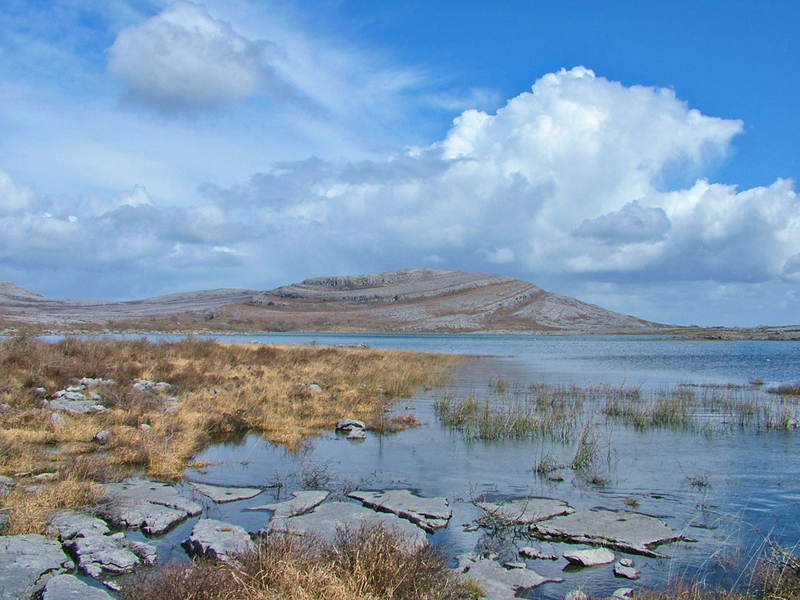 Calcareous fen vegetation is associated with the springs, turloughs and lakes of the Burren. Fed by base-rich waters they contain a variety of plants including black bog rush and many sedge species. In the south east of the Burren some of the fens include greater fen-sedge. 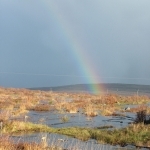 Blanket bogs, where peat formation is ongoing, are a priority habitat for conservation under the EU Habitats Directive (7130). 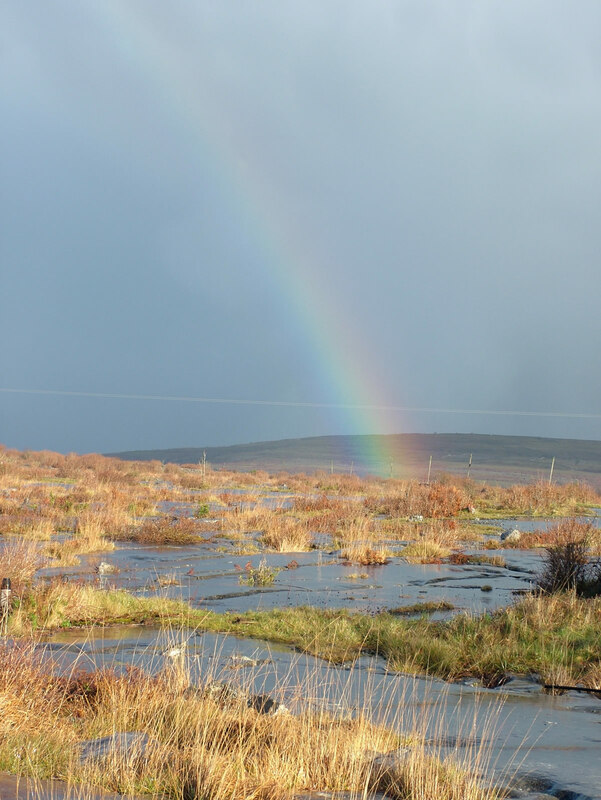 Blanket bogs are areas where peat has accumulated due to impeded drainage and/or high rainfall and low evaporation. 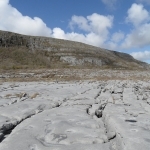 Peat depths are usually greater than 0.5 m. Blanket bogs in the Burren generally occur on shale but in some areas, they formed directly on limestone. They have a restricted distribution.